To really showcase the flower, I opted for a black base card. I also die cut a little frame for the flower to sit in. In my version you can see the stitch marks along the seam between the two colors. If you prefer a cleaner look, I suggest using felt instead of paper or gluing the two leaves together. The sentiment was heat embossed with a little bit of stitching along the bottom edge. 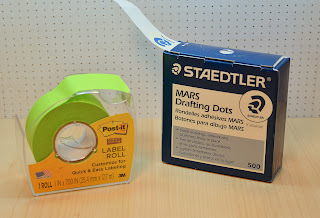 Before I finish my post, I wanted to recommend 2 products for your crafting arsenal. The first is Post-It tape on a roll. 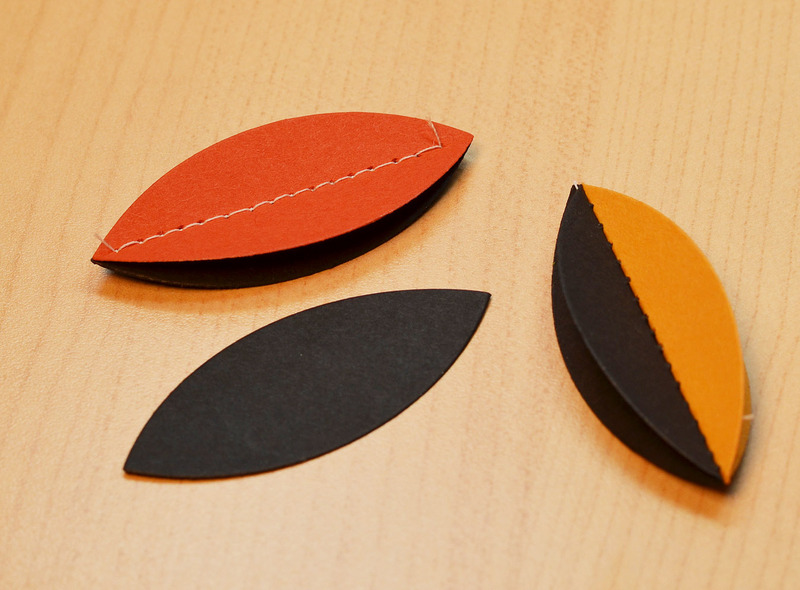 All the perks of Post-It notes without the waste. This tape has the perfect amount of tack and it is perfect for holding down dies in place. The second is drafting dots. These removable adhesive circles are meant to hold down drafting paper/blueprint paper on a drafting table. Very useful! That's all for me today! Thanks for stopping by and have a wonderful day! Post it note tape sounds very useful indeed.....bet it's not reached our shores yet!!! This looks amazing! I love how you've made the petals and how you've attached them. so amazing!! love this!! 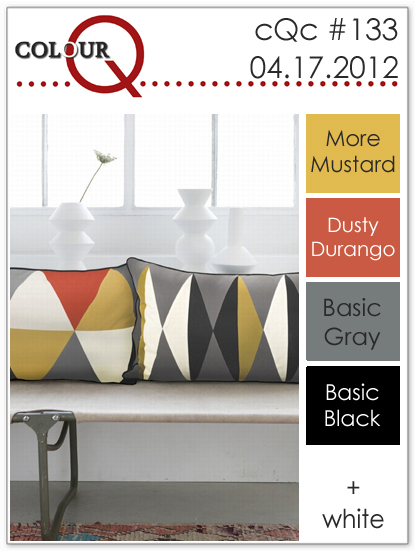 thanks so much for sharing this with us at the ColourQ!! wow, WOW, I just love this!! Such a cool idea, and it turned out great on a card! Such a unique look. Really love that flower. Beautiful card, JJ, I love your quilted petals! Stunning design. Thanks for joining us this week at the ColourQ. 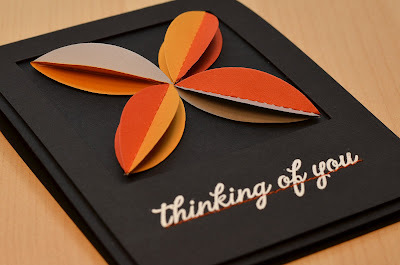 This is a brilliant card JJ, love these folded flower petals, a great take on the inspiration pic! POST IT ROLL??? That's insanely brilliant. I'm stalking the stationery aisle now. This is just stunning, I love everything about your design. Totally fabulous, JJ! 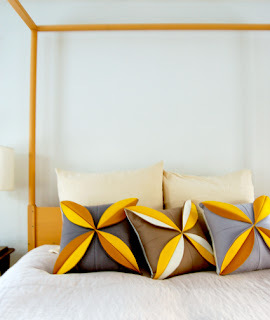 You always come up with most unique and innovative ideas, and I just adore the pillows you used for inspiration. Thanks for joining us again at the ColourQ! Your card is amazing! What a great technique. I'm adding this to my long list of things to try. Great tip on the tape too. Thanks for joining us this week at the ColourQ. Oh my... what a great piece of ART!!! holy WOW! this is ridiculously awesome. Ok, I have got to up my game here. You make me try harder. gonna have to remember that!! Oh WOW... you captured those pillows in the photo PERFECTLY! Love your take on this - how did you think of this??? The stitching is a lovely touch - it adds a lot of texture. Thanks for the tip on the stickies. I didn't even know post it came on a roll - I will definately look for it! Super gorgeous, JJ - and super creative, too! 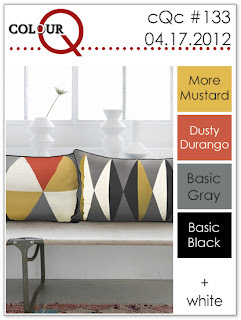 Thank you so much for playing along at colourQ this week! Wow, this is fantastic...what a cool technique! Love the black background and embossing, too! Thanks for participating in the CQC this week! This card is amazing! Congrats on your Courtier win! Oh JJ, this is a WORK OF ART! Congratulations on your shout out for this card! Okay I really can't believe this did not win you the ColourQ Queen title! This is stunning! Such awesome dimension and I love the touch of coloured stitching under the sentiment. Gorgeous, JJ! Wonderful card! Such a clever use of those dies. This actually reminded of a Hawaiian quilt pattern before I saw the pillow photo. Simply stunning - you are so creative!